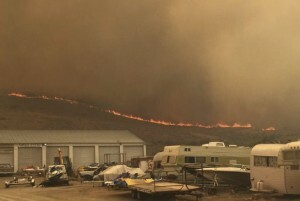 Firefighter Stephanie Preheim had only just arrived at the storage facility she was assigned to protect from a massive wildfire near the tourist town of Chelan, Washington, when the winds shifted, pushing the blaze back her way. Told to stand down, the suddenly sidelined Preheim did what any idled 19-year-old would do; she got out her cellphone, snapped a photo of the smoke-filled scene and posted it on Instagram. Preheim, and other firefighters like her, are capturing some of the most stunning images of wildfires in the West this season. And that has fire officials grappling with how to approach the digital landscape — even contemplating banning cellphones — as they balance a young workforce’s desire to share with their safety in a hazardous environment. “I’d like to show people at home the scale of fire, its power and its spectacle. It’s not something we get back home in St. Louis, Missouri,” wrote Schlake, 31. Utah-based firefighter Eli Peterson’s daredevil Instagram account includes photos of him leaping from a bridge into the water below, rock climbing and camping along with images of rollicking flames. 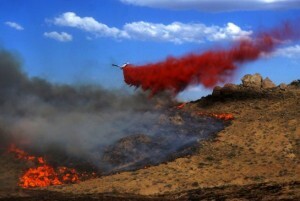 “(Fire is) a beautiful, alive thing that makes beautiful photos,” said Peterson, 19. But, Peterson, like Schlake, said he won’t sacrifice safety for likes online. “There are tons more times when I could have taken pictures, but I can’t pull out a camera because it’s not a safe time,” he said. 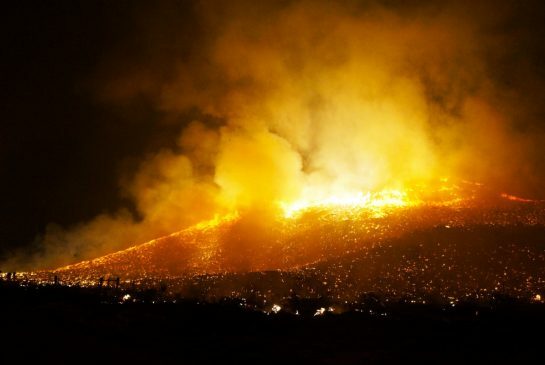 “There have been incidents in the past where firefighters have captured the last moments literally of their lives,” said Dave Teter, deputy director chief of fire protection at the California Department of Forestry and Fire Protection. 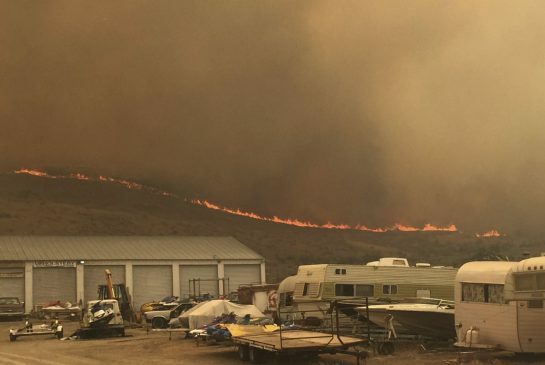 “Burning conditions and rates of spread and the energy release associated with these fires is really unprecedented,” said Teter. Cal Fire has discussed the possibility of stripping crews of their cellphones, and the idea remains on the table. The agency says for now, however, it’s trying to avoid such a drastic measure. Casey Judd, president of the Federal Wildland Fire Service Association, a firefighters’ union, said it’s not something he’s worried about. “Pictures have been taken out on the fire lines forever and it’s a learning tool, too,” he said. The photos can, indeed, be used for training and to document extreme fire behaviour, such as fire tornadoes, points out Jennifer Jones, a spokeswoman with the U.S. Forest Service’s office of fire management. Even so, the U.S. Forest Service discourages its young workforce from taking the photos, them posting them online. Another problem the photos can pose: questionable content. Authorities have had firefighters pull videos with audible profanities, but they also acknowledge the striking images that can come from those out amid the flames. “They do certainly capture some very nice photographs,” Teter said.